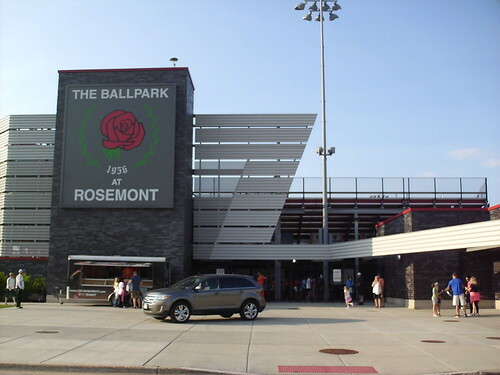 The view from behind home plate at The Ballpark at Rosemont. 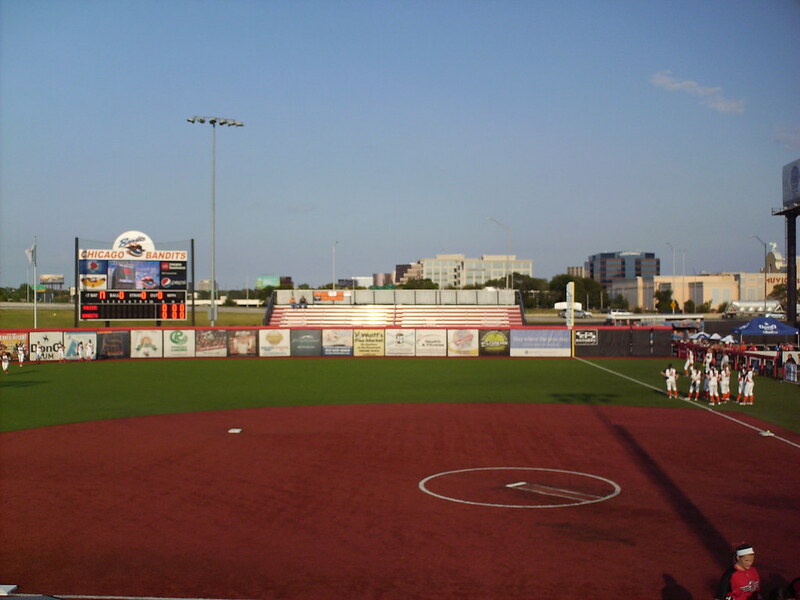 The grandstand as seen from right field. 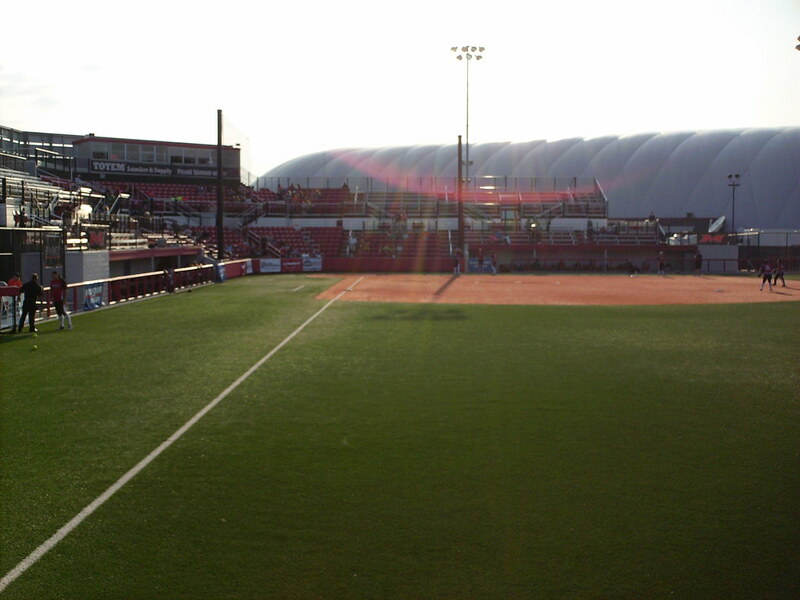 The Dome at The Ballpark, an indoor sporting facility sits behind the stadium. 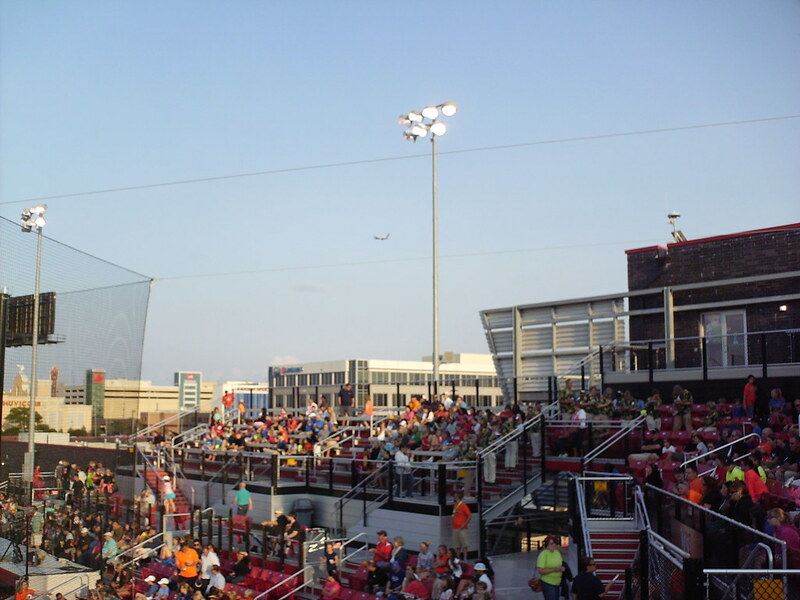 The pressbox sits on top of the grandstand. 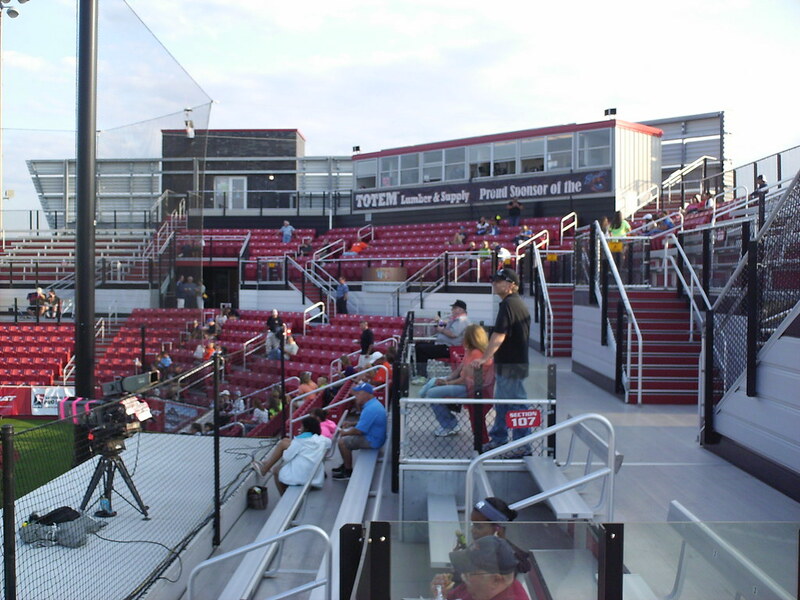 Most of the seats are fold down plastic seats, with aluminum bleachers down each baseline. 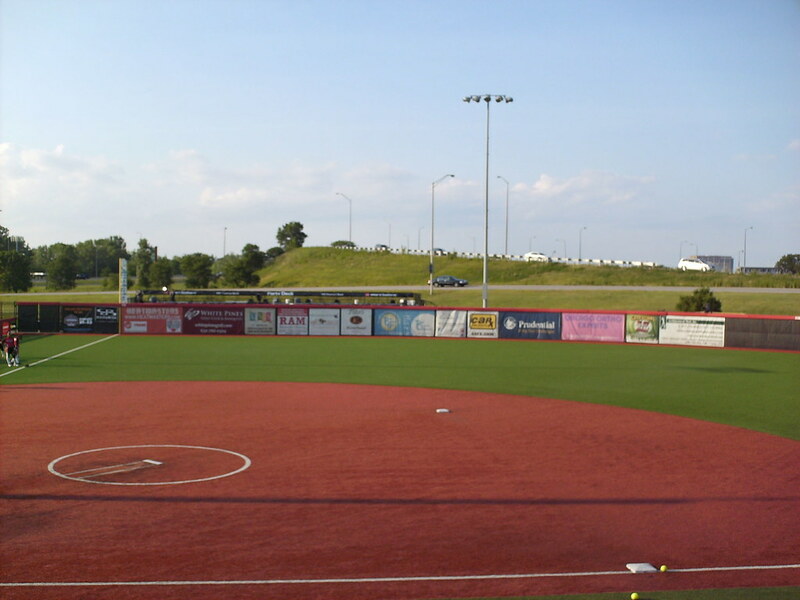 The Ballpark is located right next to O'Hare International Airport, and planes roar overhead throughout the game. 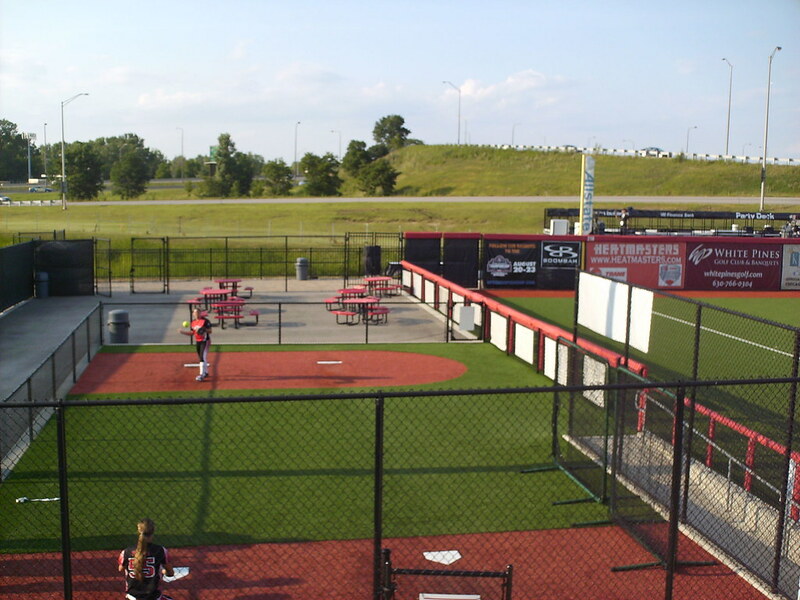 Group table seating sits behind the left field fence. 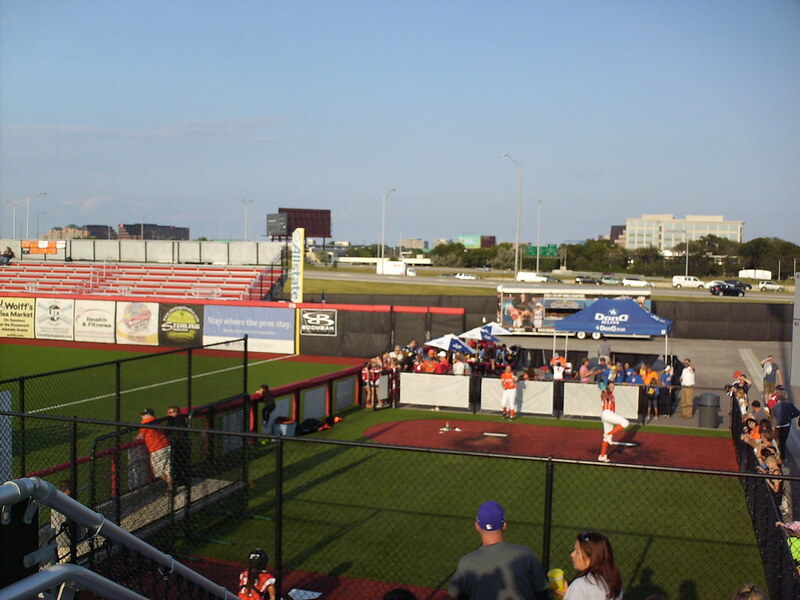 Bleachers overlook the field from the right field corner and the home bullpen sits right on the concourse, allowing fans an up close look. 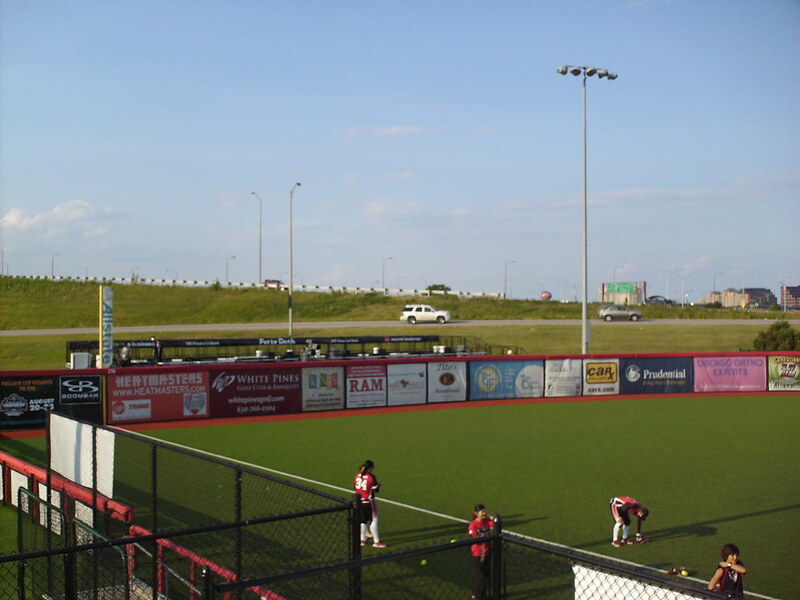 The visitor's bullpen and picnic table seating in the left field corner. 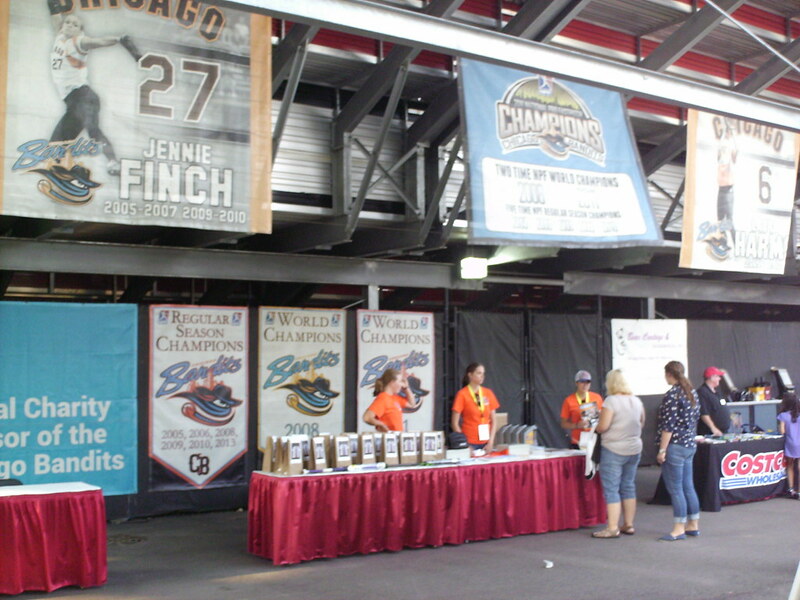 Banners on the concourse celebrate Bandits' championships and retired numbers for former players like Jennie Finch. 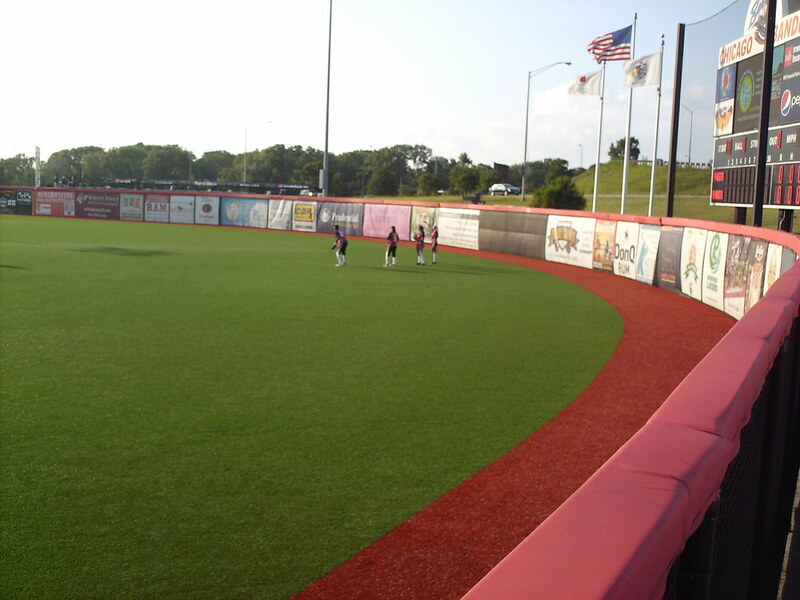 The outfield fence and artificial turf at The Ballpark at Rosemont. 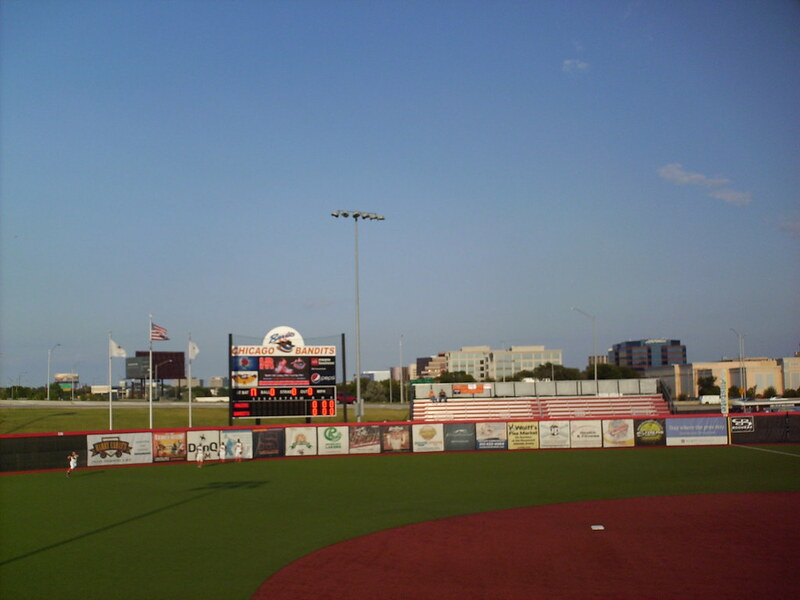 The scoreboard in right field with a highway running behind it. 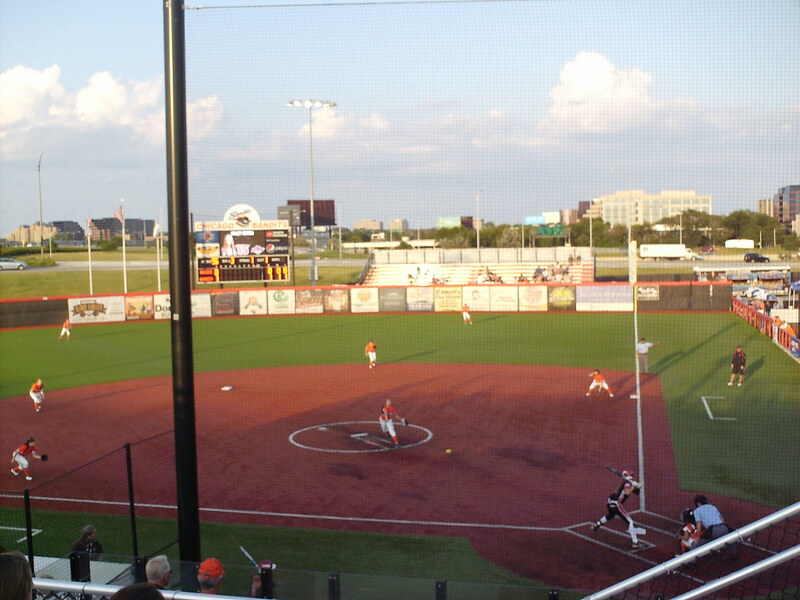 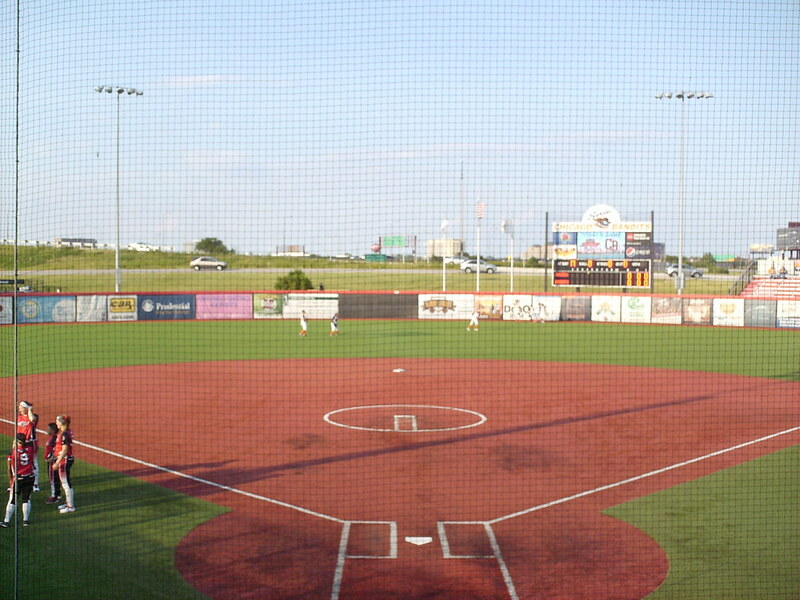 The Chicago Bandits on the field during an NPF game at The Ballpark at Rosemont.